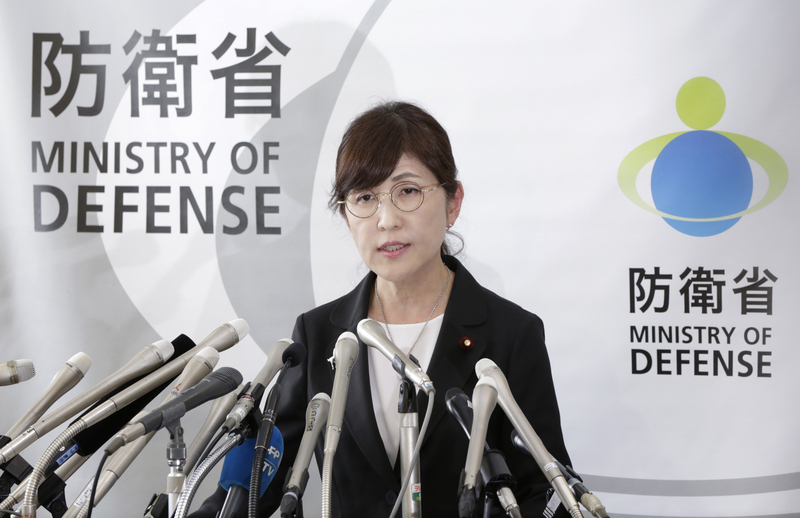 TOKYO (AP) — Japan’s defense minister resigned Friday, saying she accepted the responsibility for a cover-up in which her ministry concealed records of Japanese U.N. peacekeepers’ activities and dangers they faced in South Sudan. It was the latest blow to Prime Minister Shinzo Abe’s scandal-stricken government. Tomomi Inada was Abe’s protege and her resignation came just days before the prime minister was expected to reshuffle his Cabinet in hopes of resurrecting his sagging public approval ratings. Inada said the results of an investigation showed her ministry had covered up some military records documenting worsening security conditions for Japanese peacekeeping troops in South Sudan during major clashes last summer. Abe’s government was facing criticism over possibly violating Japan’s war-renouncing constitution and peacekeeping law by keeping Japanese troops in combat zones. Inada and Abe had insisted the conflict did not involve combat or warfare, which would have required Japanese troops to withdraw. Critics say Abe wanted to keep the mission despite growing danger because he wanted Japan’s military to take on a bigger role in the U.N. peacekeeping mission. In May, the last batch of peacekeepers returned from South Sudan after completing their 5 ½-year mission. Japan sent about 350 troops for a few months at a time and rotated a total of about 4,000. Inada said the ministry’s internal investigation showed “serious” mishandling of official documents in violation of the information disclosure law. Foreign Minister Fumio Kishida took on the defense ministry portfolio after Inada’s resignation, Abe said. The troubles come at a tense time for Japan given recent North Korean missile test launches, and Abe is expected to appoint a more seasoned security expert as his next defense minister. Inada denied that she herself took part in the cover-up, although she acknowledged she might have been verbally informed of officials’ plan to conceal the portion of the log. The ministry’s report showed senior ministry and Self-Defense Force officials tried to conceal some information. Twice last year they denied information disclosure requests, claiming the documents were destroyed and no longer existed when they still did. The ministry officials were also slow in reporting problems to Inada, the report said. But it found no evidence that Inada approved the cover-up. Abe started out the year on a high note, gaining approval for a third straight term as leader of the ruling Liberal Democratic Party. But his popularity has plunged amid accusations of misuse of power and cronyism. Opposition lawmakers plan to grill Abe over his appointment last year of Inada, a lawyer with scant expertise in national security. Inada also came under fire for an election campaign speech where she sought support for a ruling party candidate on behalf of her ministry and military troops, a possible violation of a law requiring political neutrality from government employees. She has also been criticized for links to an ultra-nationalist school operator under criminal investigation for an allegedly fraudulent state land transaction.